This is a step by step guide will show you how to convert DVD to PlayBook . So you can watch DVD movie on your BlackBerry PlayBook on the go. 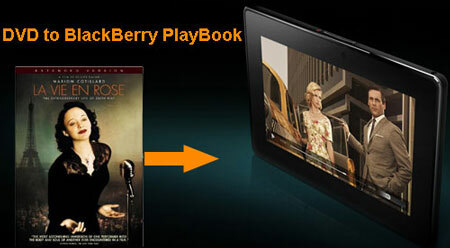 specifications show that PlayBook is an ideal multimedia entertainment device. Because the BlackBerry Tablet supports 1080p HD video playback that will offer great watching experience. However, the PlayBook does not have a DVD drive, if you have a couple of DVDs and want to watch it on your PlayBook you'll have to convert/rip DVD to video and make sure the video is PlayBook supported video formats. From BlackBerry PlayBook specifications, you will find out the PlayBook is able to carry out 1080p HD video and supports video and audio formats including H.264, MPEG, DivX, WMV, MP3, AAC and WMA. The next step we need a DVD ripper software to convert DVD to one of above video formats. Tips: For Mac users, you can Download DVD Ripper for Mac. Click "Load DVD" to import DVD. In addition, it supports DVD folders, ISO files and IFO files that saved in your desktop. Edit DVD video like adding watermark, adjust brightness, crop, contrast, saturation, rotation. Just using your creative idea to make your own video. Pick one of PlayBook video formats (.MP4) from "Profile". 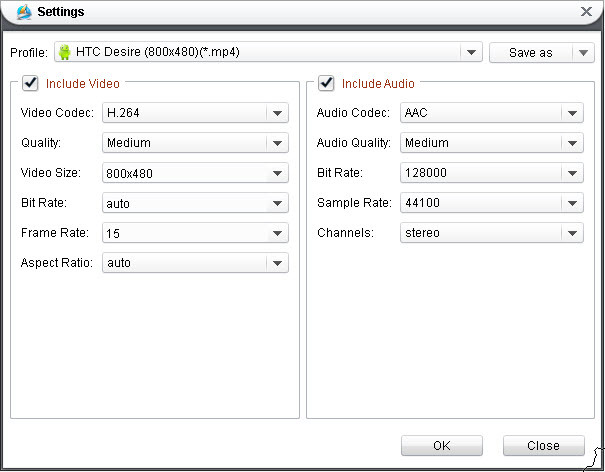 Click "Settings" button to set output details such as video resolution (1024x600 pixels), frame rate, bit rate, encoder. Click "Start" to begin DVD conversion. Once the DVD to PlayBook conversion is done. Now, connect your computer to PlayBook with USB cable and transfer the video to PlayBook's root folder. For those who have DRM protected video or music and you want to play it with your Blackberry PlayBook, you could get a DRM Converter to free your videos and music.